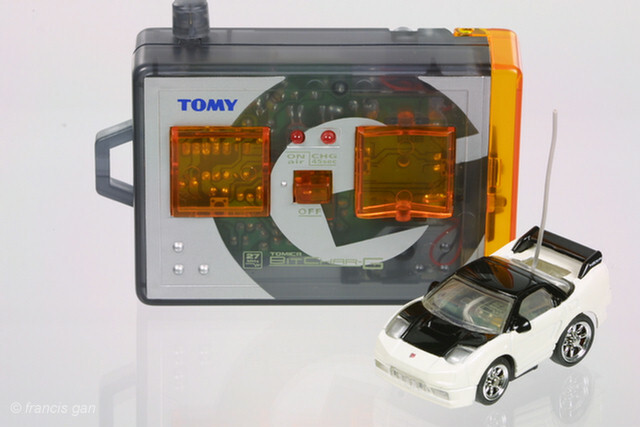 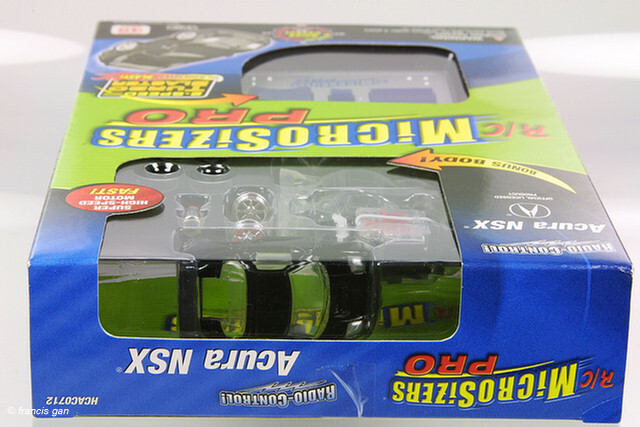 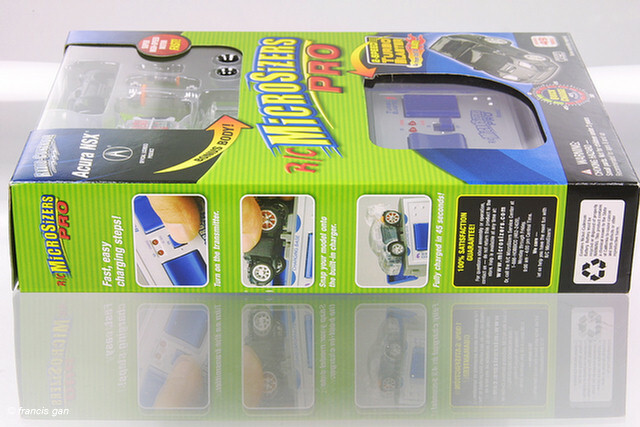 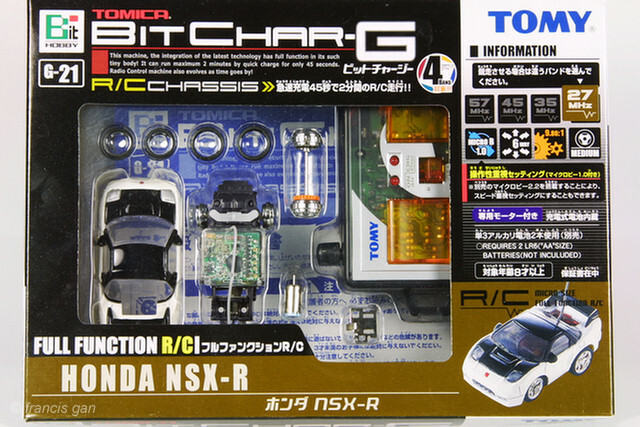 Tomy's BitCharG NSX's were available only in the 2002+ NSX-R as a boxed kit. 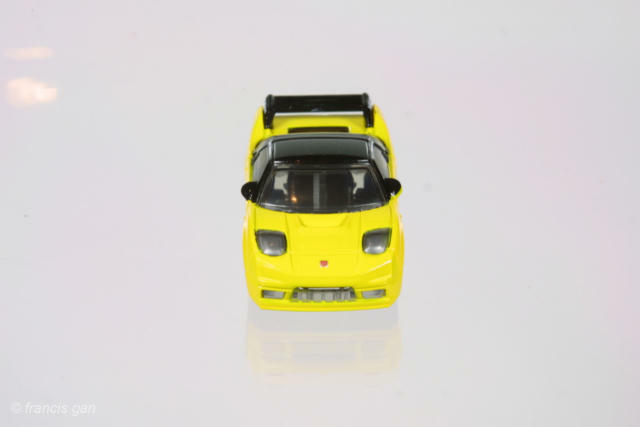 A 2002 NSX JGTC Mobil 1 body (GM10) was available as an additional body kit. 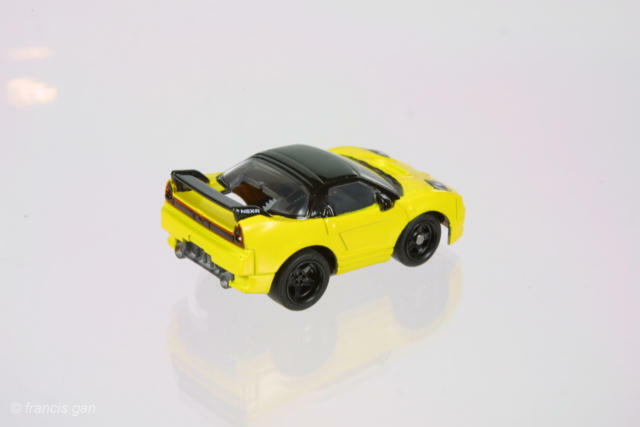 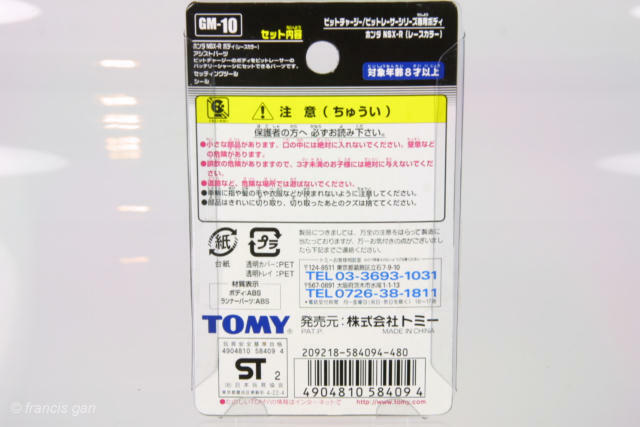 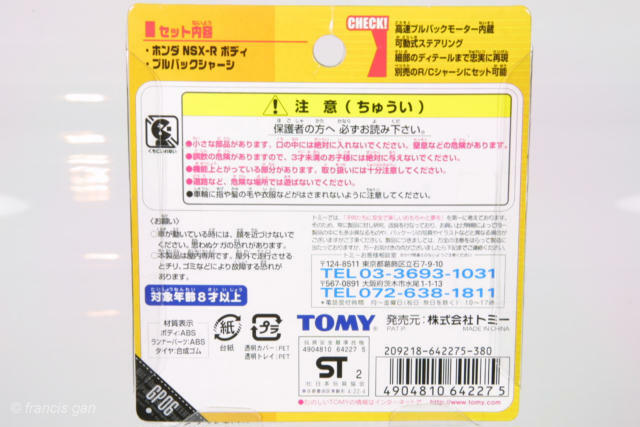 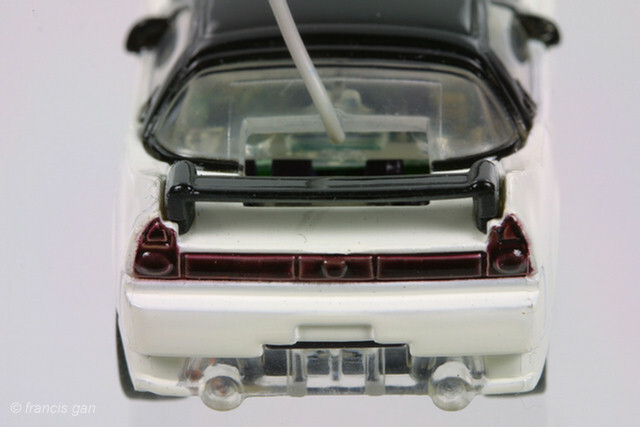 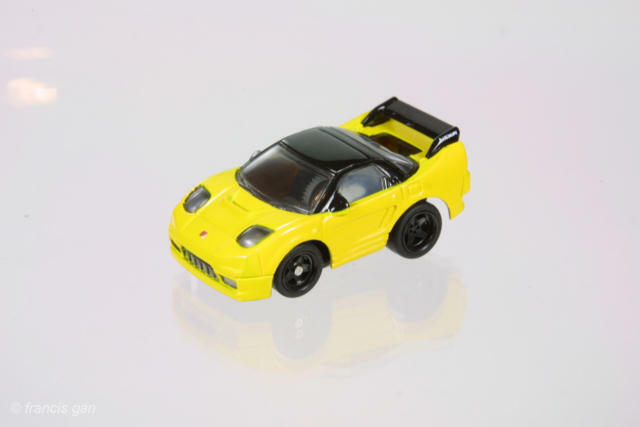 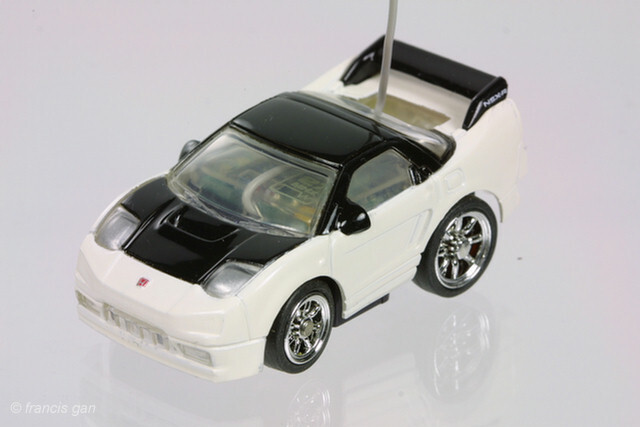 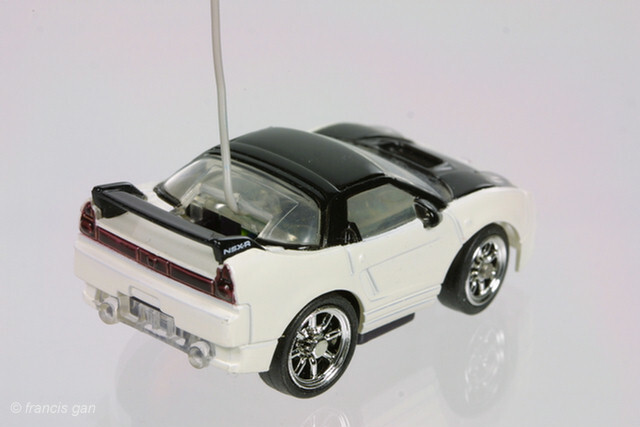 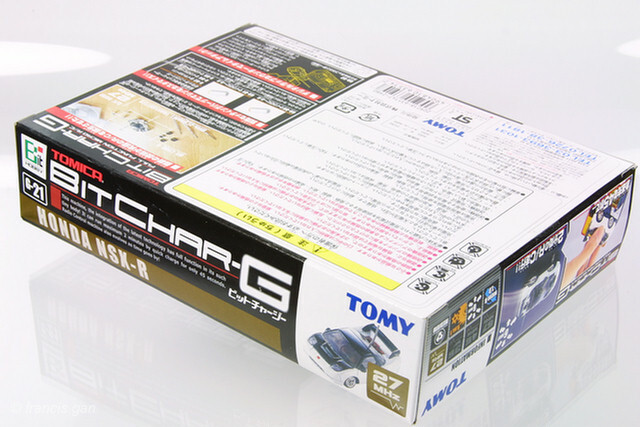 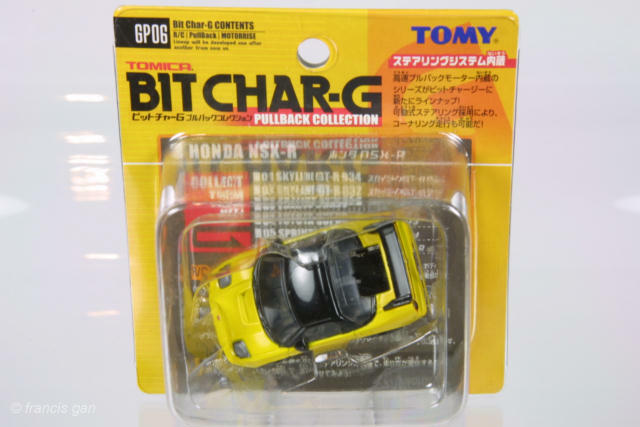 Tomy's Bit Char G series had a yellow 2002 NSX-R (GM06) in approximately 64 scale. 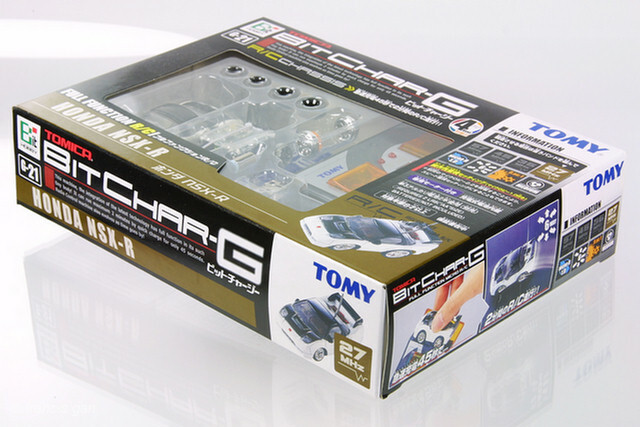 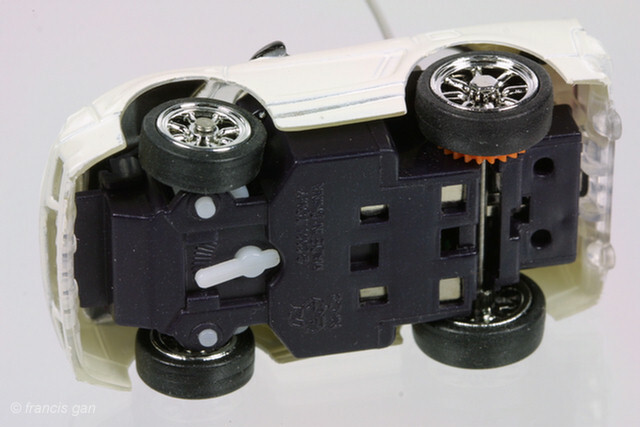 This version is slightly larger than the RC version and is built to run on a Bit Char G track. 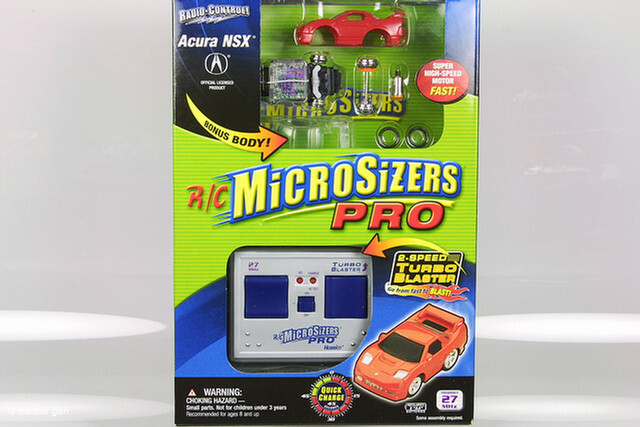 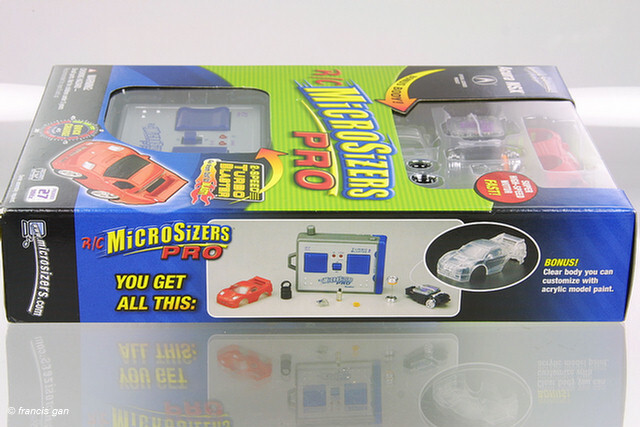 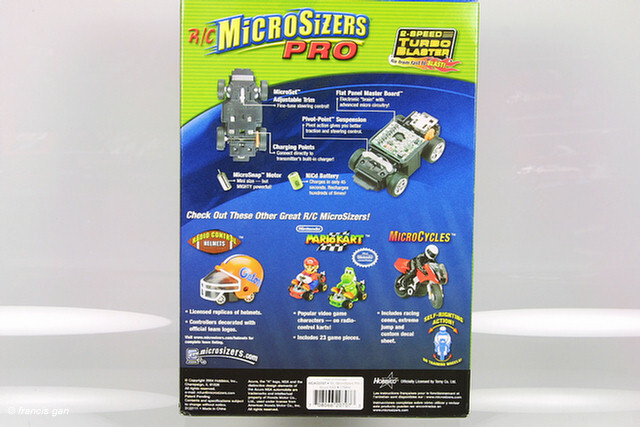 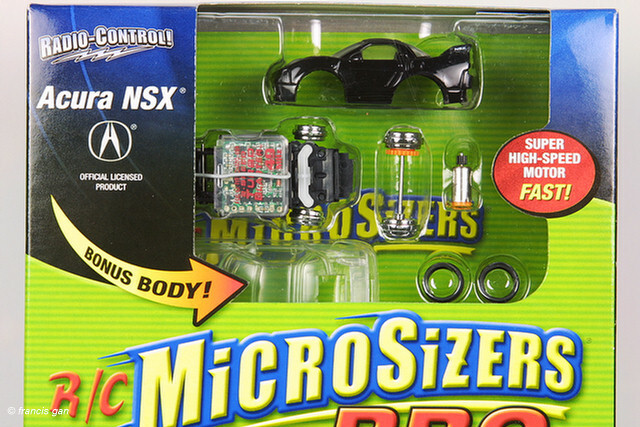 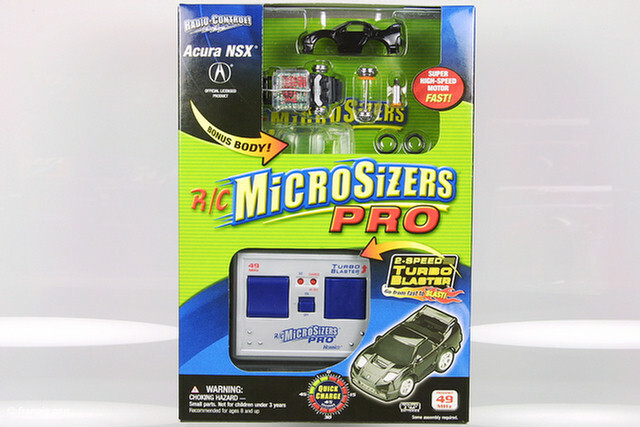 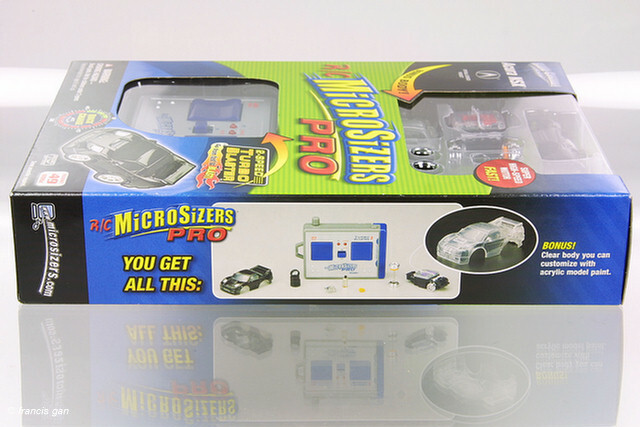 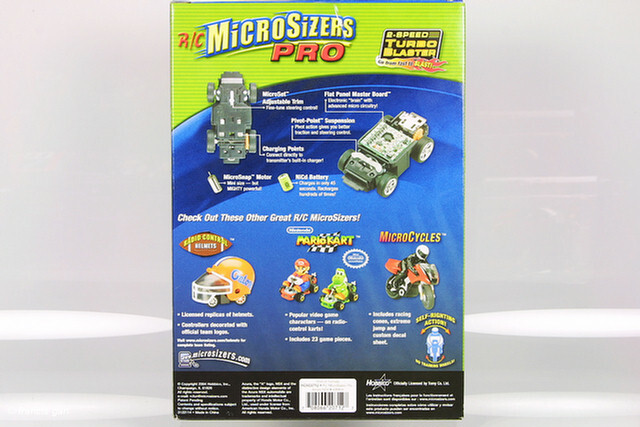 US Market Microsizers included the 2002+ NSX in their Pro series. 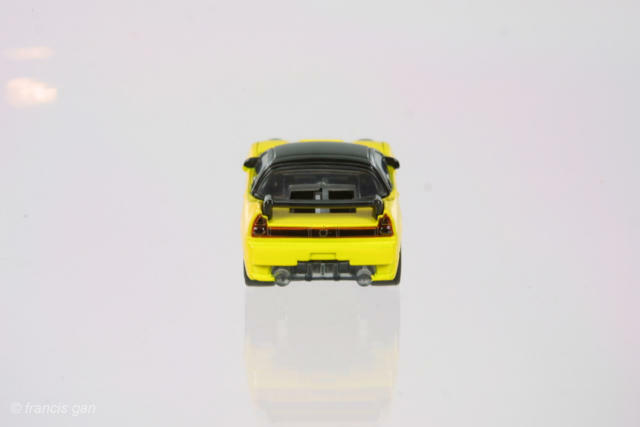 Red with a bonus clear body. 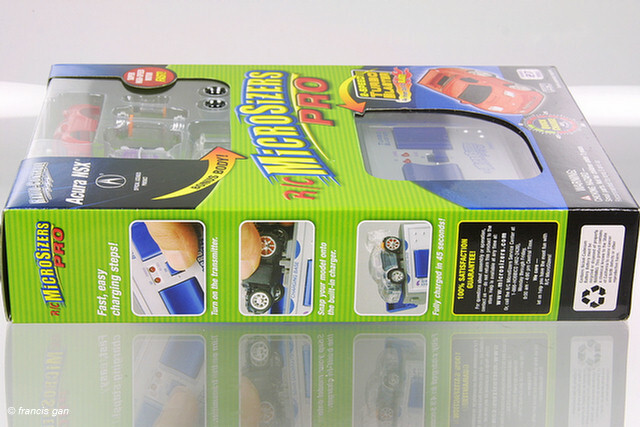 Even the box matches the car color.